The BBC’s Doctor Who has revealed a sneak peak at a brand new TARDIS that will debut in this year’s Christmas special, The Snowmen. The second TARDIS for Matt Smith it will be the first TARDIS for new companion Clara (Jenna-Louise Coleman), who makes her entrance on Christmas Day at 5:15pm on BBC ONE. With thanks to BBC Pictures. 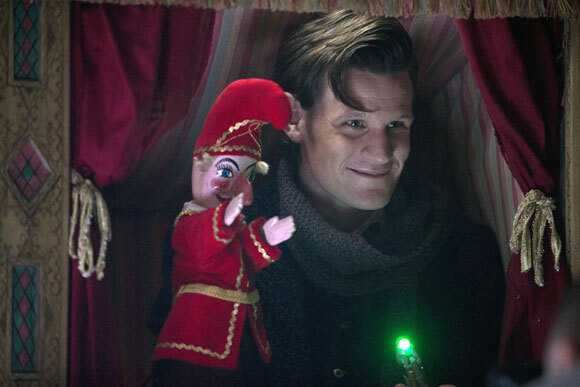 “Lots of snow and a rather good villain.” Matt is chatting enthusiastically about this year’s Christmas special, The Snowmen. 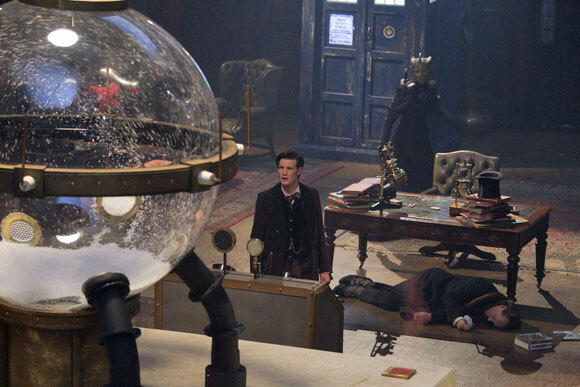 Set in a Victorian snow-covered England, the episode opens with the Doctor feeling more ‘bah humbug’ than festive, as he struggles to get over the loss of his companions the Ponds. As well as seeing Matt Smith’s Doctor for the first time without his old companions, Matt will be sporting a new costume, complete with top hat. “It is a bit like the Doctor meets the Artful Dodger,” says Matt. As well as guest starring Tom Ward (Silent Witness), Richard E Grant features as this year’s villain, Doctor Simeon. “He was a delight and brilliant at being villainous. Some actors are just made for the show and he was one of them. And he looked wonderful in Victorian garb,” says Matt. Has any 1 heard about the Second Doctor returning in one the episodes next year??? If you are wondering about him returning its a different man who looks the same and shall be play ing the Second Dooctor in one of the stories that sounds EPIC!!!!! Had an interesting thought earlier today. As it’s the 50th anniversary next year, and seeing as there is no classic series style Tardis Playset for the first 8 Doctor figures, perhaps Character Options should produce a Tardis playset version of the 1983 incarnation of the Tardis interior introduced in ‘The Five Doctors’, seeing as that version of the Tardis and the story which introduced it will both be 30 years old next year in 2013. I have seen the old Dapol version of the 1983 console, but I think Character Options could produce a much better version of it for the first 8 Doctor figures.